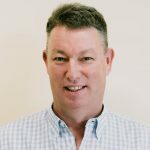 Dr Andrew Jowett is an experienced Sports and Exercise Physician, currently based at the Olympic Park Sports Medicine Centre in Melbourne, Victoria. 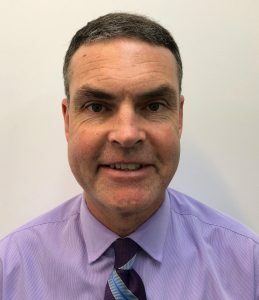 A Fellow of the Australian College of Sports Physicians, Dr Jowett is an Executive Member of the AFL Medical Officers Association and the Chief Medical Officer of Football Federation Victoria. He worked as Club Doctor at the Collingwood Football Club for 14-years up to 2009, before joining Hawthorn Football Club, providing medical support. Dr Jowett has been Chairman of SMA since 2015. Professor Gregory Kolt is the Dean of Science and Health and Professor of Health Science and Lead Dean at Western Sydney University. Prior to his current positions, Professor Kolt was Associate Dean (Research), Professor of Health Science, and Founder and Co-Director of the Centre for Physical Activity and Nutrition Research at the Faculty of Health and Environmental Sciences at Auckland University of Technology (NZ). Professor Kolt has been the editor of a number of academic publications, including SMA’s own Journal of Science and Medicine in Sport. 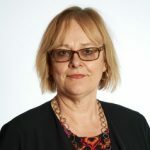 Professor Caroline Finch is the Deputy Vice Chancellor (Research) and Vice President at Edith Cowan University (WA). Professor Finch is also the Director of the Australian Centre for Research into Injury in Sport and its Prevention (ACRISP), an IOC recognised centre focusing on research in injury prevention and the promotion of health in athletes. Caroline is one of the most respected injury prevention researchers in the world. 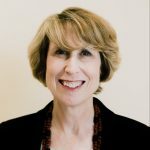 In 2018, Professor Finch was appointed as an Officer of the Order of Australia (AO) for her distinguished service to sports medicine, particularly in the area of injury prevention as an educator, researcher and author, and to the promotion of improved health in athletes and those who exercise. Susan Eaton (nee Maxwell) is a Consultant APA Sports Physiotherapist and has worked in the Sports Physiotherapy field for many years. She is an experienced business owner, having previously run her own Sports Physiotherapy practice at Forestville NSW, for over 25 years. 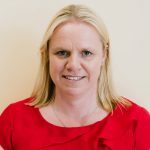 Susan has worked at a Multidisciplinary Specialist Sports Injury Centre in Sydney as as well in hospitals and private practices in Australia, England and Switzerland. Susan has worked with a broad range of athletes, from the Everyday to the Elite athlete, and her work has included volunteering as a Sports Physiotherapist at the Gold Coast 2018 Commonwealth Games, Sydney 2000 Olympics Games, International Netball and National Athletics Championships. Susan is a recent graduate of the Australian Institute of Company Directors (GAICD). Dr Nirmala Perera is an epidemiologist with a clinical background. She is the Research Officer at the Australasian College of Sport and Exercise Physicians (ACSEP). 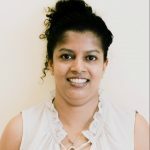 Nirmala is the Social Media Coordinator for the IOC World Conference on the Prevention of Injury and Illness in Sport and writes the engagement, evidence and practice blog series in the British Journal of Sports Medicine (BJSM). Nirmala is also the Scientific Committee Chair of the Sri Lankan Sports and Exercise Medicine Conference. 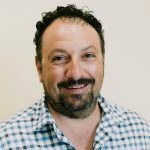 Fabio Egitto is a Podiatrist who runs his own clinic, Axis Podiatry, in West Perth, Western Australia. 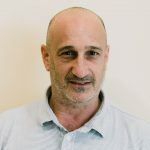 Fabio has over 20-years’ experience working as a Podiatrist, acting as a consultant for the Perth Wildcats Basketball Team, the East Perth Football Club, the Swan Districts Football Club and the Hopman Cup Tennis Tournament. He has also served as Director for the Australian Podiatry Association in WA and as Clinical Supervisor for the Department of Podiatry at Curtin University. Tim Pain has previously served as president of both the National SMA board and the Tasmanian SMA State board, in addition to holding board positions at both levels from 1997 – 2017 . He has 23 years’ experience as a podiatrist and business owner of his Hobart-based practice. Tim has volunteered his expertise at various events including at the Melbourne 2006 Commonwealth Games Polyclinic. Belinda Hudson is the Director of Business Advisory and Health Services at William Buck Accountants Victoria. An experienced accountant, Belinda has used her role at William Buck to work closely with the Australian Medical Association (AMA) in Victoria. Belinda is the preferred taxation provider for the AMA and the General Practitioner (GP) Foundation. She has combined a career in finance and accounting with a passion for sports medicine utilising her position at William Buck to help promote good health.